One of Poe's biggest poetic influences was the Romantic poet Lord Byron. While Poe was a student in 1823, Lord Byron was venturing off to Greece to fight on behalf of the Hellenic cause against the Ottomans. This inspired many in the West towards a philhellenic spirit, especially when news spread of his death at 36 years of age from a fever contracted while in Messolongi in Greece on the 19th of April in 1824. 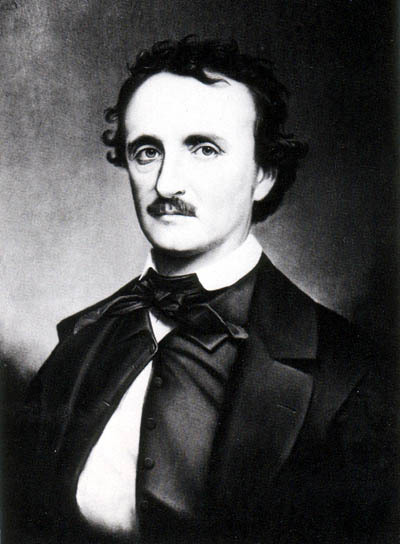 Among those inspired was Edgar Allan Poe. In 1827, aroused by the heroic efforts of the Greeks and in emulation of Lord Byron, Edgar Allan Poe and an acquaintance, Ebenezer Burling, determined to travel to Greece and offer their aid to the insurgents. Burling dropped out of the adventure however, either due to parental urging or cowardice, thus forcing Poe to venture alone to Europe. Poe was absent for more than a year, but the adventure of his journey was never told. Something held him back from telling about this period in his life and various stories were invented to fill in the blanks. That he reached England is of little doubt, but whether or not he beheld what he called "The glory that was Greece and the grandeur that was Rome" is still uncertain. In his writings he does seem to allude to the scenery of Greece and Italy, but there is no reliable data to prove he ever reached there. The story that he arrived in St. Petersburg, Russia and extricated for his misbehavior is likely not true. In 1829 we find him again at home temporarily in Richmond, Virginia. Poe may have never arrived in Greece nor have fought for the Hellenic cause, but his philhellenism is evident in at least his efforts and desire to make a similar sacrifice as did Lord Byron. Maybe one day we will find out what really happened to him in that silent philhellenic year.